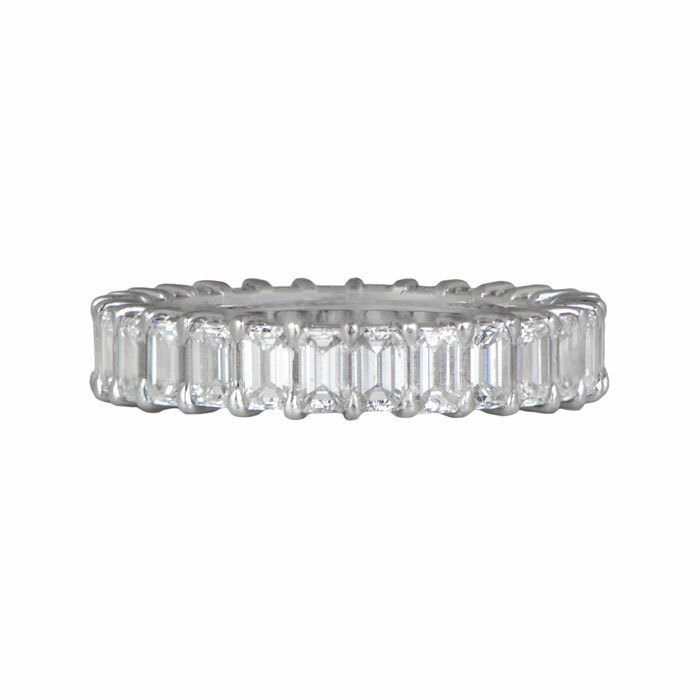 An arresting and bold wedding band, sporting a prong-set eternity setting with emerald cut diamonds set all around. 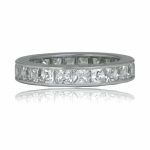 The diamonds in the wedding band weigh approximately 3.92 carats that are collection-grade quality diamonds (F color and VS clarity). The mounting is platinum. 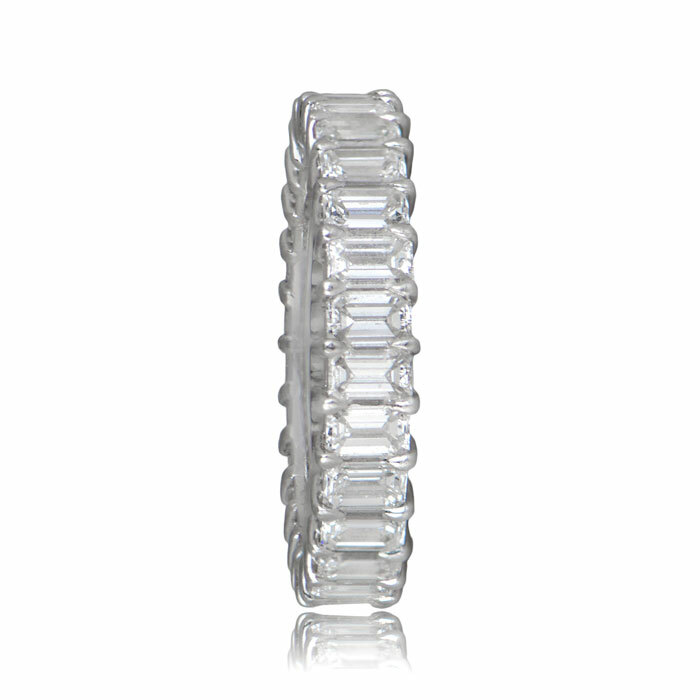 The wedding band comes with a UGL certification. 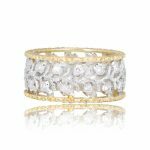 SKU: 9167 Category: Vintage Wedding Bands - Contact us and request additional pictures.